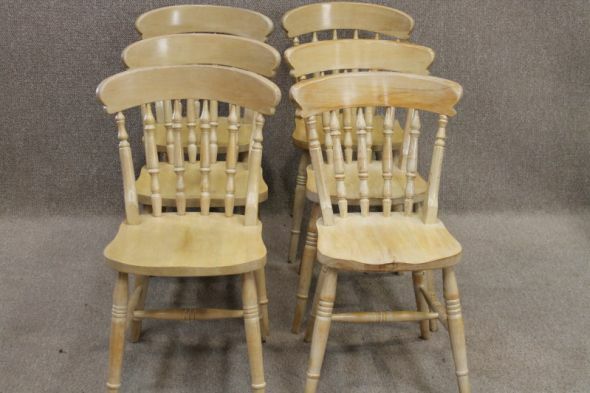 A quality set of solid beech Victorian style kitchen chairs (late 20th century). In a white washed finish, these chairs are structurally sound and in good condition with just a small amount of wear and tear. Ideal for any kitchen or dining room. These chairs are now sold.